It’s great to see our projects progress into construction. 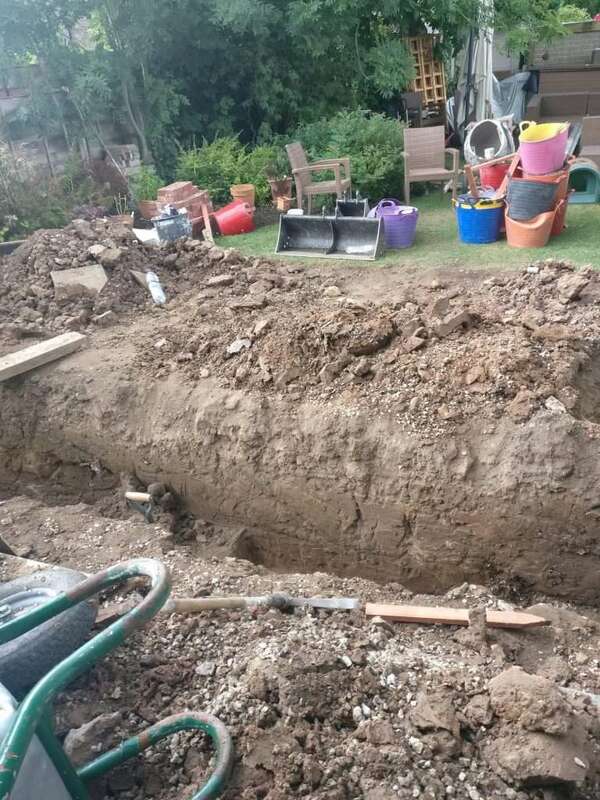 One of the first major activities is to excavate suitable trenches for the foundations. 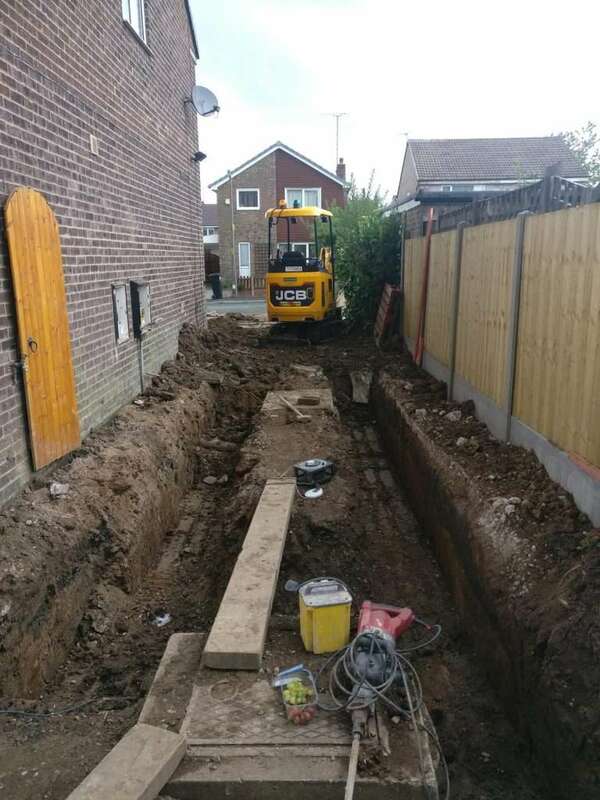 An inspector, usually from the Local Authority building control department will assess the depth and composition of the trench prior to the concrete pour. It is quite often the case that services, located underneath the ground are exposed during excavation. Sometimes, special foundations, such as cantilever footings or piles may be required to overcome/ avoid obstacles or to protect infrastructure from excessive loads. You may also spot the two sewer access points in the photographs. Sometimes it is possible to apply for ‘build-over’ permission from the statutory undertaker. In this case however, the sewer is combined, i.e. it serves more than one property and 24 hour access is therefore required and re-location will be necessary. It is really important to consider elements such as these early in a project. There may be a better place to locate your extension where such elements do not exist, however, sometimes it is not possible to avoid them. The foundation design also includes pads for the structural steel frame, which will allow the majority of the existing cavity wall to be removed at ground floor level. This will create the open-plan, flexible space which was the driving ambition behind the project.